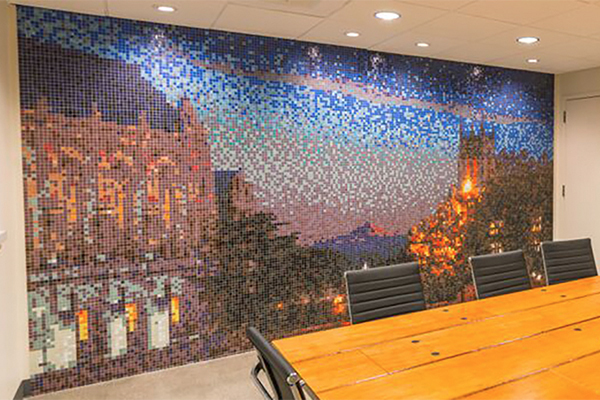 Established in 2007 by an MIT graduate, Artaic is modernizing the creation and customization of mosaics that can become a highlight of an office, classroom, lobby, or any other space. Artaic uses a robotic technology called Tylist to customize, design and fabricate the mosaic tiles. The Tylist software enables users to design and render their mosaic artwork while easily coordinating with the company’s robotic manufacturing system. Designers can choose tile type, color, size, and grout type.